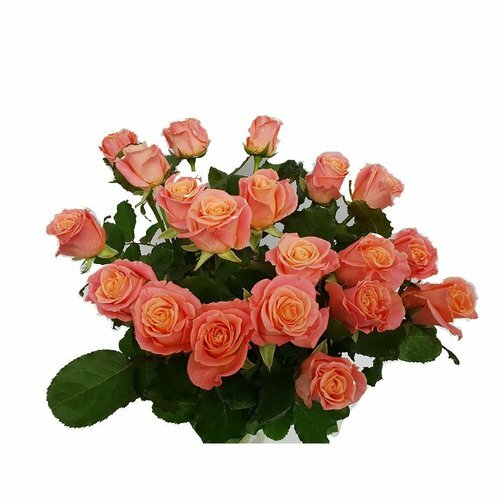 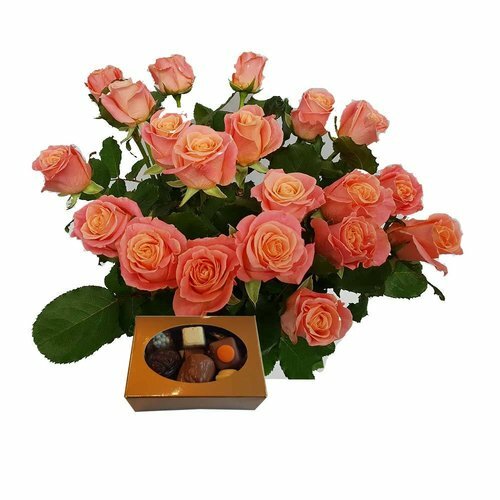 Combi offer of 20 fresh roses and 500gr chocolates. with this you can't go wrong. 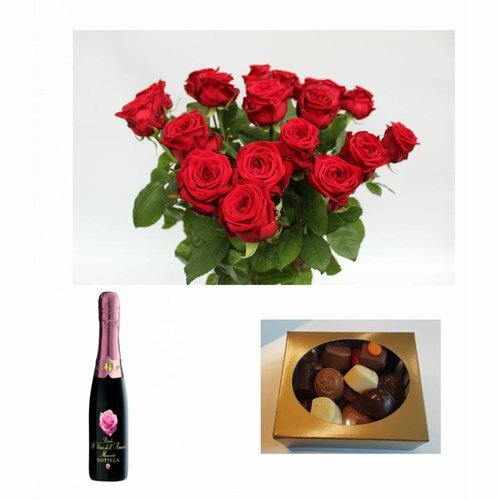 Combi offer of 20 fresh roses , 500gr delicious chocolates and a bottle of Prosecco. 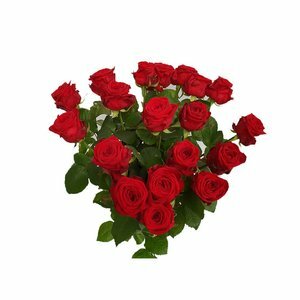 With this you can arrive!